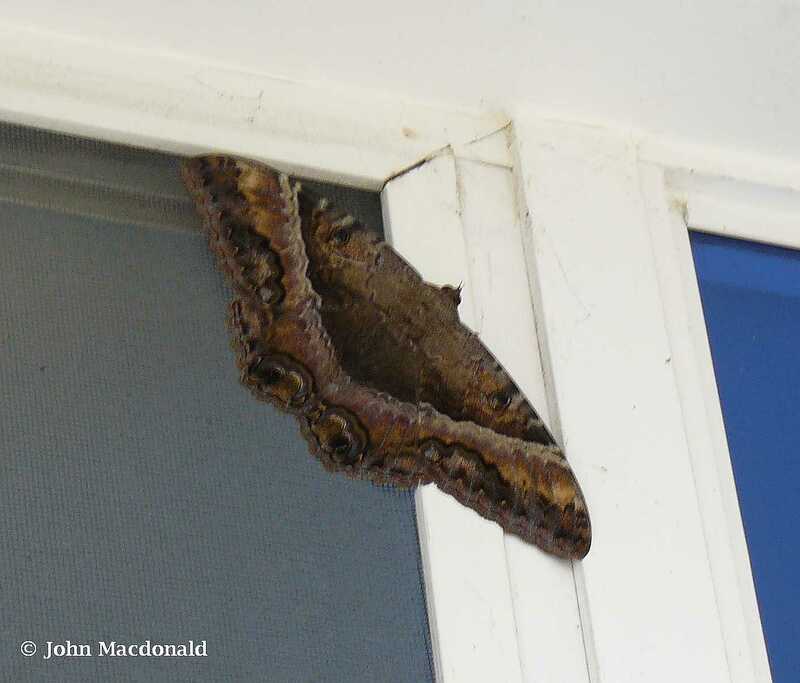 Yesterday afternoon I was stepping out onto our front bedroom deck and noticed a large butterfly on the screen above the sliding glass door. We are always on the lookout for new and interesting insects and I often crawl around looking under leaves in our garden to see what I can discover, but this one required no hunting. It was perched with its’ wings extended and the wing-span had to be five to six inches in length! Naturally, I raced downstairs to get my camera. I stood on a chair and tried to get some close-up shots of this new butterfly.